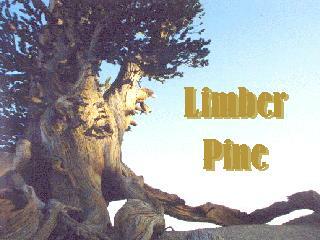 Limber pine is a slow growing, long-lived species, sometimes taking several hundred years to reach maturity. 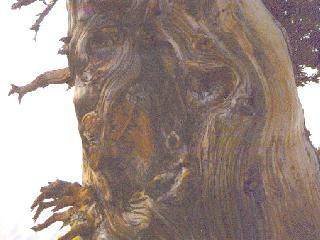 Mature trees may exceed 1000 years of age. 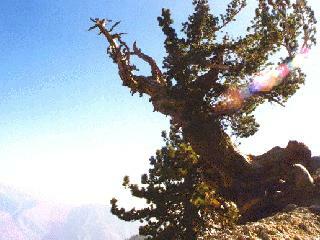 Limber pine stands are broadly even-aged, though populations also occur in uneven-aged stands and on very harsh sites as widely spaced, isolated individuals [96,102,112]. 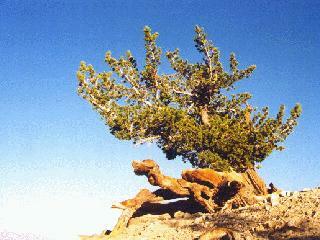 Trees often have an irregular or multi-stem growth form, and rarely reach over 50 feet (15 m). 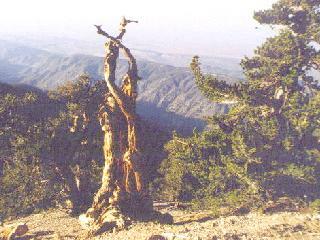 At high elevations they sometimes form krummholz (stunted, twisted shrub-like formations caused by exposure to wind. German for "twisted wood"). 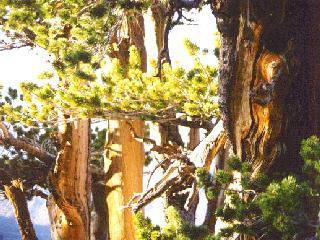 Trunks may reach 6.5 feet (2 m) in diameter. The species is cold and drought tolerant. 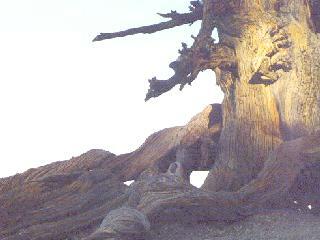 Trees are ectomycorrhizal, have deep taproots, and are very windfirm. 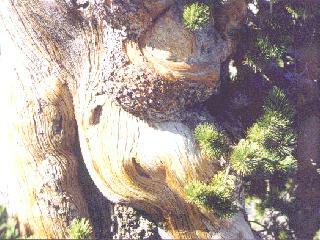 Limber pine has relatively thin bark.